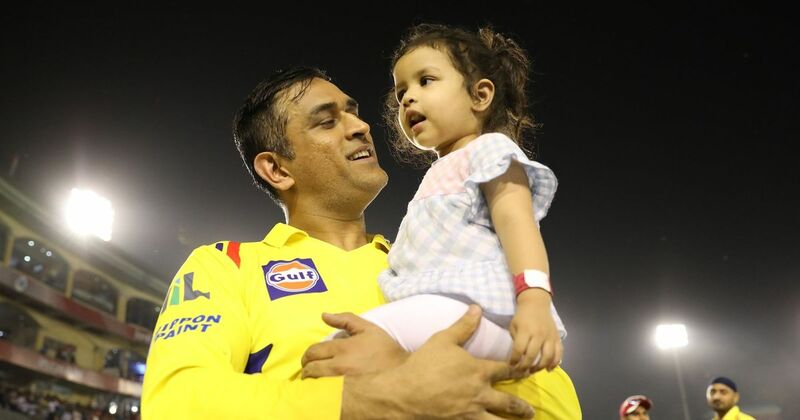 Indian team player MS Dhoni doesn’t know if the cricketer in him is any different since fatherhood but Mahendra Singh Dhoni says daughter Ziva has certainly changed the person that he is, especially in his attempts to keep her on the “backfoot”. Meanwhile the 37 year old talismanic former India skipper, who is basking in the glory of leading Chennai Super Kings to the IPL title earlier this year, spoke on the rarely touched subject of his life after fatherhood in a show for ‘Star Sports’. Dhoni said “He don’t know whether it has changed me as a cricketer, as a person yes of course because daughters are very close to their fathers”. He added that “In his case the problem is when Ziva was born he was not there (three years ago), most of the time he was playing cricket, so everything bad somehow is thrown at him to deal with”. Moreover about speaking of his own routines, Dhoni revealed that he took to rowing exercises during the IPL. He noted “Once the tournament (IPL) started he was not in the gym anymore and just did his rowing, and in Chennai he had a rowing machine in his room only, he would get up, order his breakfast and before the breakfast came, he would start his rowing”.